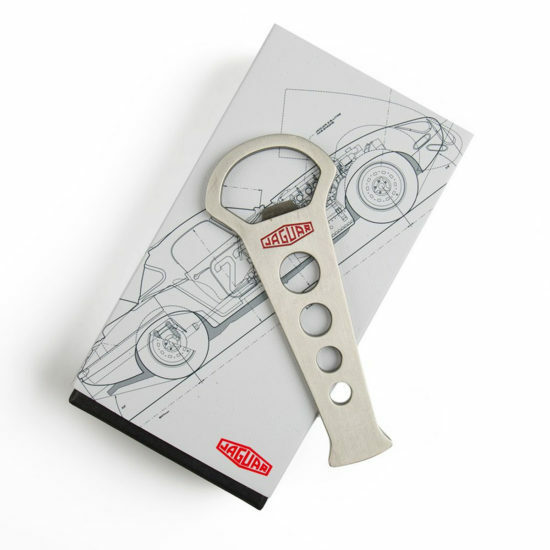 We were asked by Jaguar Land Rover to develop and produce a heritage range of merchandise for the Jaguar brand to be sold online and through the dealership network. The Jaguar E-TYPE is reckoned to be one of the most beautiful cars ever made, and who can argue. Launched in 1961 both as a road car and as a Le Mans racer, it was one of the very first cars to be designed with aerodynamics in mind. it was conceived as a high performance, low cost sports car with stunning looks; the rest is history. No classic Jaguar car lover should be able to resist these stunning bottle stops. 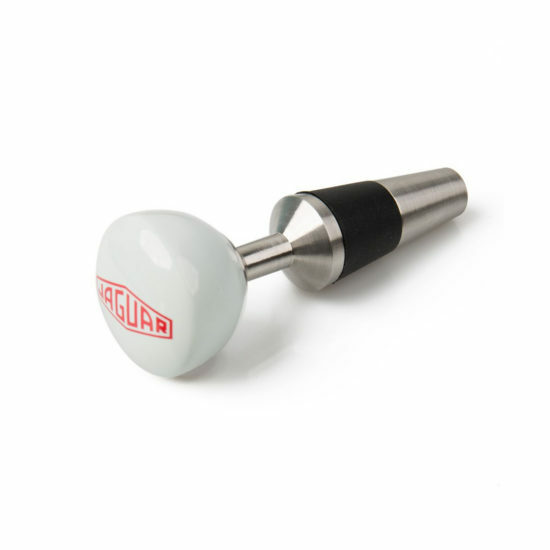 Made from a heavy zinc die casting with a rubber seal, each one features a solid glossy gear knob with a range of three iconic prints to choose from. 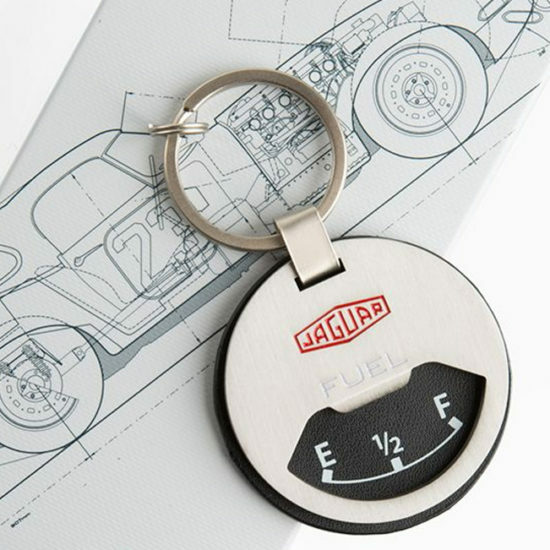 This is a keyring devoted to the petrol heads among us. 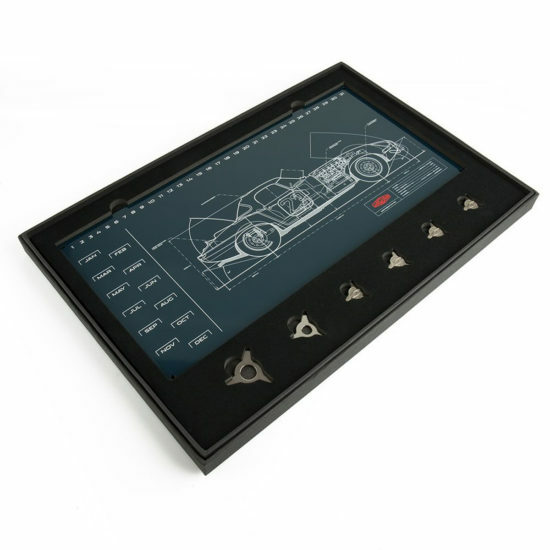 The design features classic fuel gauge imagery in a combination of black leather and steel. Look again and you’ll see it’s also a handy bottle opener; not that Jaguar recommend drinking and driving at any time. When the flag dropped, a Le Mans-style start saw the drivers run across the track to their cars which were parked on the other side. Such starts were clearly unsafe and were prohibited in Britain by 1962. 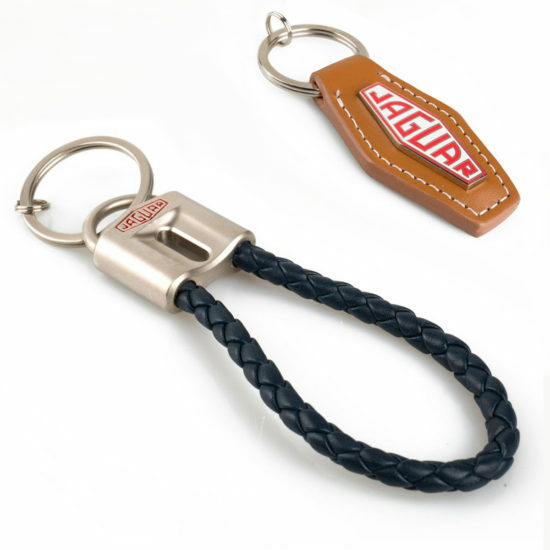 These keyring designs with their braided leather and die case body evoke the glamour of Jaguar racing; bring back the Le Mans start we say! Showing allegiance to a car brand is all part of the ritual. 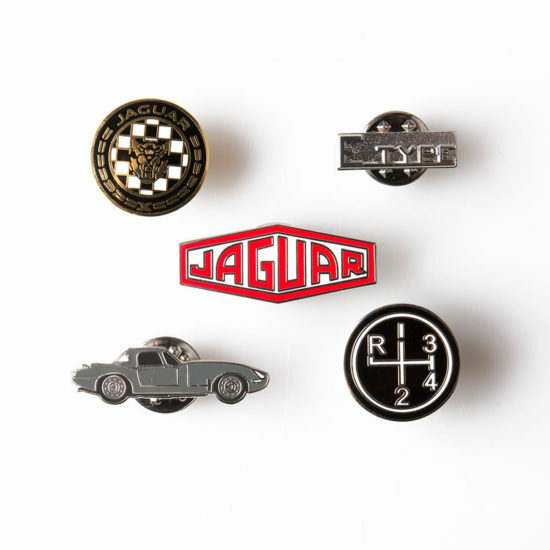 Pin badges are a popular accessory for motoring enthusiasts; they are inexpensive, smart and collectable. These are beautifully made and come as a set of five presented in a retro style tin. This set of four solid metal coasters comes gift packed in a smart foam-lined raw metal tin. 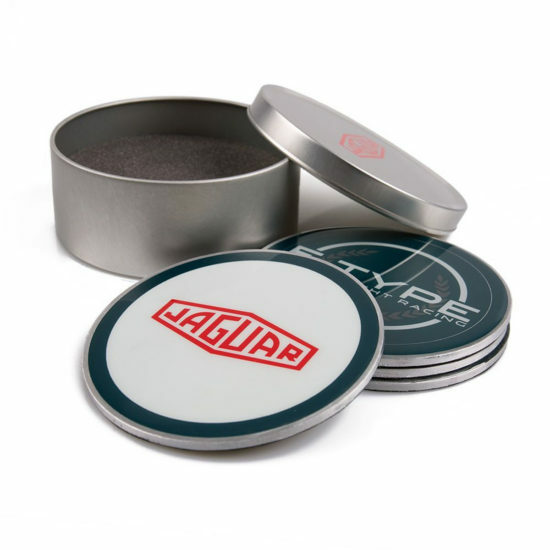 Each coaster is graphiced with a classic Jaguar icon to spruce up any coffee table or bar. We probably all own a few bottle openers, they remind us of an event or a moment in time; sometimes they’re just cool to own. This one falls into the category of the latter; styled like an engine part and stamped from raw steel, it just looks, well… Engineered. No ordinary calendar, this one is in the form of a magnetic metal plate featuring an E-TYPE line art. Months and days are highlighted using the cute die cast metal pieces shaped like Jaguar wheel spinners. The design means it can be mounted on the wall and will be good for years of service.